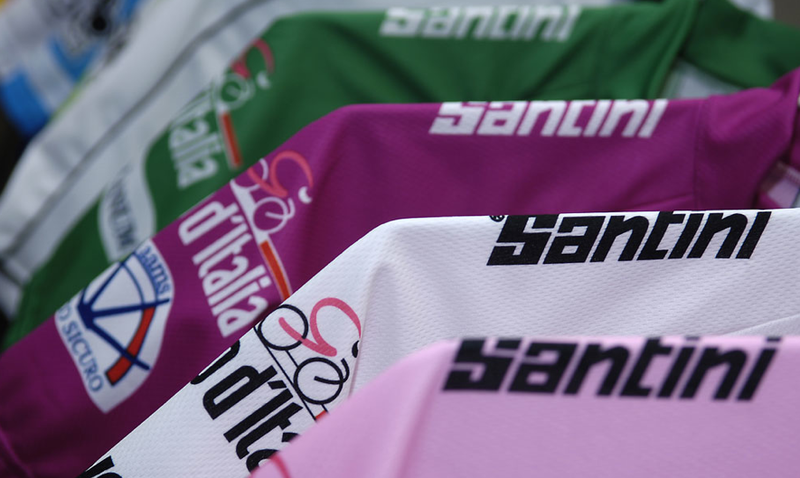 My all time favourite cycling clothes manufacturer SANTINI has a brand new website and best of all it now has an online shop too where you can buy the entire range of good times live and direct from Italy. This is big news for me as I love SANTINI more than I love my family so I will be spending all of my time on here come the next few weeks until I have bankrupted myself again. 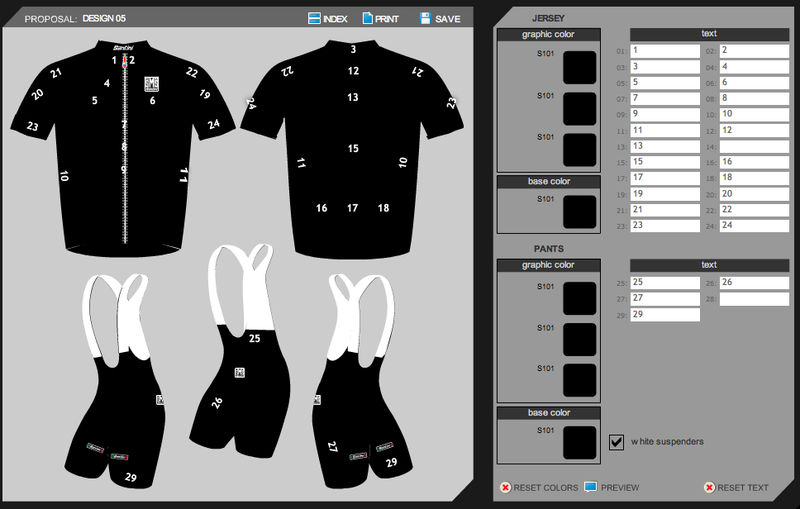 What is doubly amazing is they have now added a new custom design area to the site, so guess where all LA GAZZETTA DELLA BICI clothing is getting made from now on. I’ve been playing with the design tools all morning already. Santini produce two collections each year (summer and winter). We are an official sponsor of the UCI (Union Cycliste Internationale) for the leader jerseys of the Pro-Tour, the various World Cup competitions in every discipline and for the World Championships. 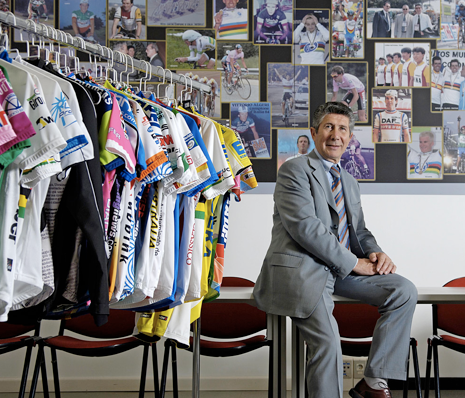 We are also the official sponsors of the leader jerseys for the Giro d’Italia, many professional teams and more than 800 clubs around the Globe. Each one of our products is genuinely designed and manufactured in Italy. We do it since 1965 and it is what we believe in. 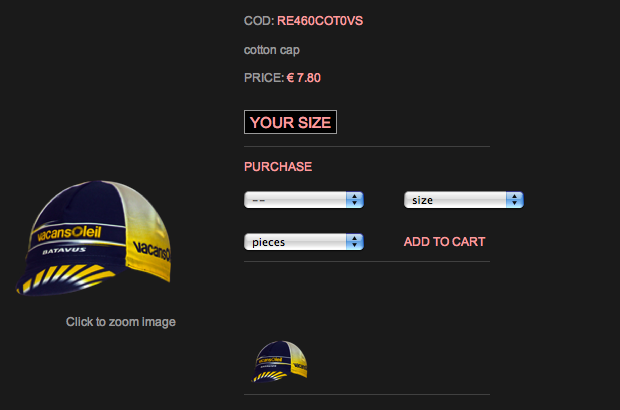 The drafts for both the pro teams designs and the custom clothing are developed by an internal team of experienced designers. For the fashion collections we collaborate with talented freelance designers that add new creative, innovative ideas every season. After the creative development begins the production procedure. Everything starts from the cut of the fabrics which is now totally computerized in order to have zero faults. Right after the cut the fabrics go to the transfer department where they are layed down onto the transfer machine and covered with the transfer sheets. The inks tranfer to the fabric at a temperature of approximately 220 degrees with a pressure of 3 to 4 atmospheres. The combination of pressure and heat assures the best results; vivid and resistant colours. The reason why the fabric is first cut and then printed individually is to assure that position of the design and logos match perfectly on each product, regardless of the size. This is the reason for our choice to keep the production in Italy on our premises. 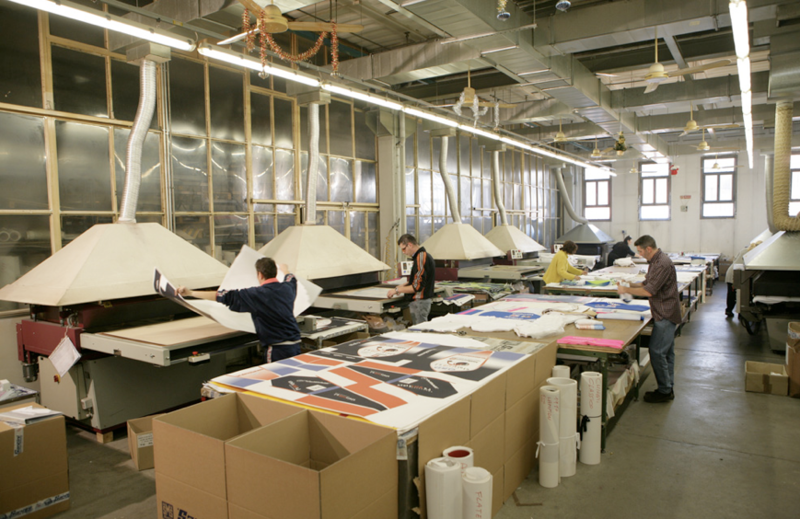 We will always guarantee the best quality because we follow the whole process from start to finish. 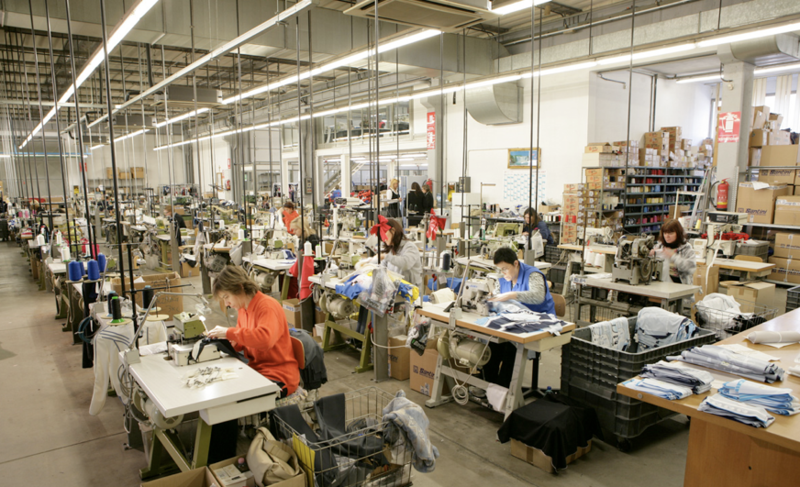 The fabrics are then moved to the manufacture department. Every product is still assembled manually with the best care. The garments, once finished go to the quality control and then to the packaging department. 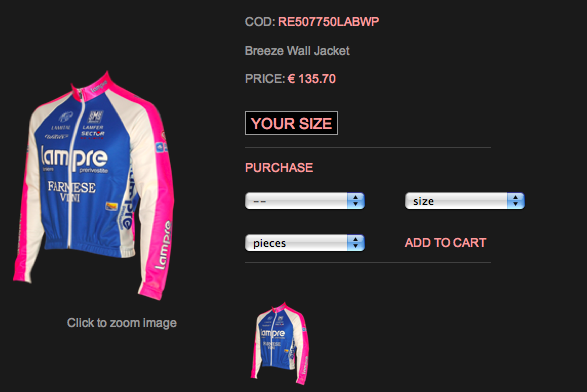 Every product goes through this process, from the pro team kits to the commercial items. Once checked and packaged,the products go to the delivery department where they are prepared to be sent to more than 50 countries in the world. Our brand is known and distributed all around the globe. Wherever there is passion for cycling there is an SMS showing. The stylish design and the quality of our 100% made in Italy garments have made us famous in Europe, USA, Japan, China, Korea, South Africa and the Emirates. Nowadays we export more than 65% of what we produce and every year we are ready to explore new exciting markets. « Tsukino’s Race Report: JCRC Stage 3-Gunma CSC.